The Book Lantern: Augustus Waters: Hero or Zero? Heroism can take many forms, but only a few of them are recognized as such. 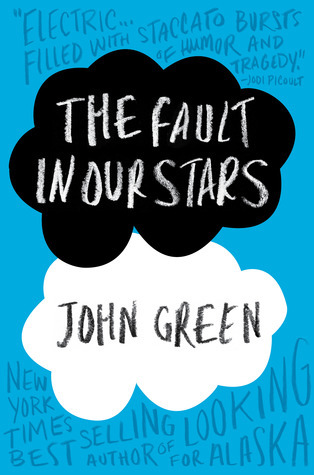 The Fault in our Stars by John Green's August Waters wants to be the recognized kind of hero, but that's kind of difficult when you only have one leg and are only seventeen years old. What Augustus doesn't realize is that he is the other kind of hero: the unsung kind who shows us that everyone can be a hero. Augustus Waters is the kind of guy who has his video game character jump on a grenade to give virtual children the possible chance to evacuate from their virtual school. He says he fears oblivion, as so many of us do, but what he really means is that he fears to be forgotten. He fears to live a life worth being forgotten. Augustus's need to live a life that has an impact on the greater good is one of his biggest weaknesses. He is always looking for the big gesture. He can't just take Hazel out on a date; he needs to take her to Sweden and arrange a meet-up with her favourite, estranged author. As Isaac says, "that kid never took a piss without pondering the abundant metaphorical resonances of human waste production." Augustus can't take something at face value, and this is why he can't see his own simpler form of heroism. Augustus Waters doesn't see how he changed Hazel's life, not because he spent his Wish taking her to Amsterdam, but just because he was there. Before Augustus, Hazel was stuck in a world of reruns and rereads. Augustus broke the cycle and taught Hazel how to live again. He saved her from herself. Augustus Waters is blind to his affect on Isaac, also. (Too soon?) When Isaac loses his sight and girlfriend all at once, he is on a downward spiral. Augustus instinctively knows how to help: he lets Isaac smash his trophies. I'm sure the metaphoric resonance of this action was not lost on Augustus (even if the importance of it was). In a way, Augustus was jumping on the grenade of Isaac's pain, and the trophies are his body being blown apart. Later Augustus brings Isaac peace when he takes him to egg his ex-girlfriend's house. These actions don't seem heroic, but they save Isaac, and what is more heroic than saving a friend? Augustus affects other characters lives without even realizing it. While he's searching for some great heroic moment to save himself from being forgotten, what he doesn't realize is that he's already a hero to people like Hazel and Isaac. The "okays" that Hazel and Augustus exchange are more than just a synonym for "I love you"; they're a message to the reader. It's okay to be okay, to be average, to be normal: you can still be a hero. You are still important. You can still make a difference. Don't wait for your "big moment." Just, as Patrick would say, live your best life today.